If everything else vanishes from your life, you will always have left your knowledge and skills. And in my opinion, no other skill offers as many benefits as meditation does. In every moment there are choices to be made and awareness to partake in. Cultivating the tool and skill of meditation enables us to aware in the moment, and to make better choices as a result. 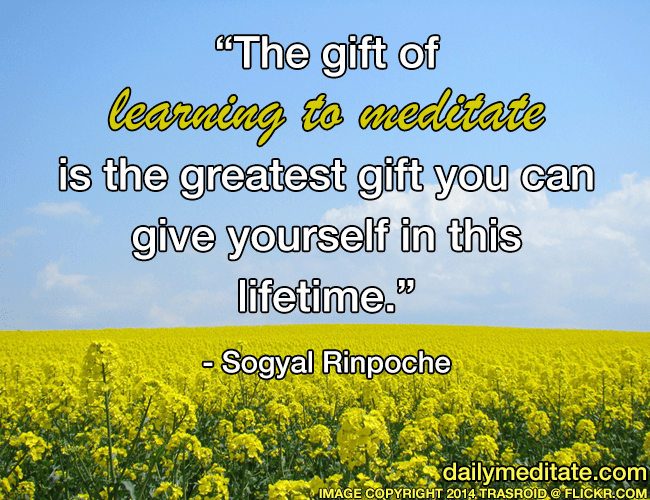 So, while most people turn to look for gift ideas whenin need of a present for someone else, here is a super gift idea for what you can give yourself: meditation, the gift of a lifetime. Start today by committing to make meditation a part of your life! Are you going to give yourself the gift of a lifetime? Please tell us in a comment below!